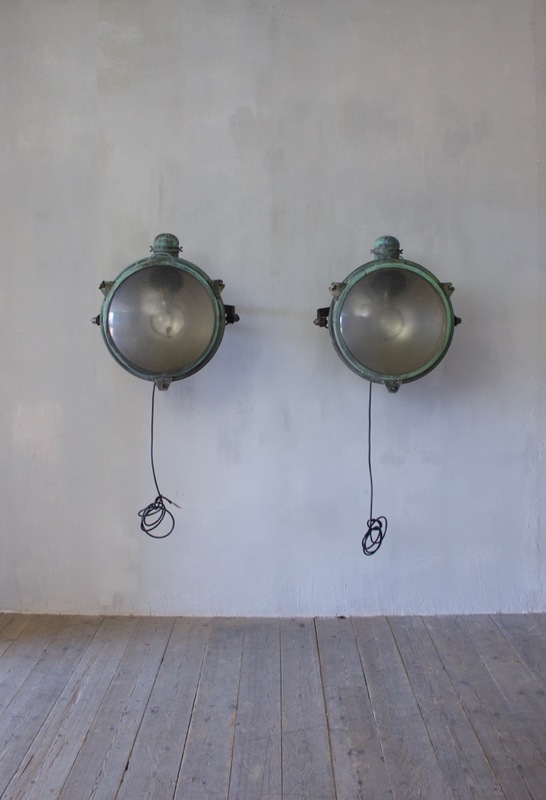 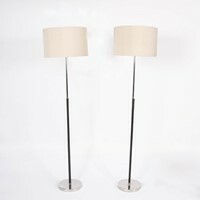 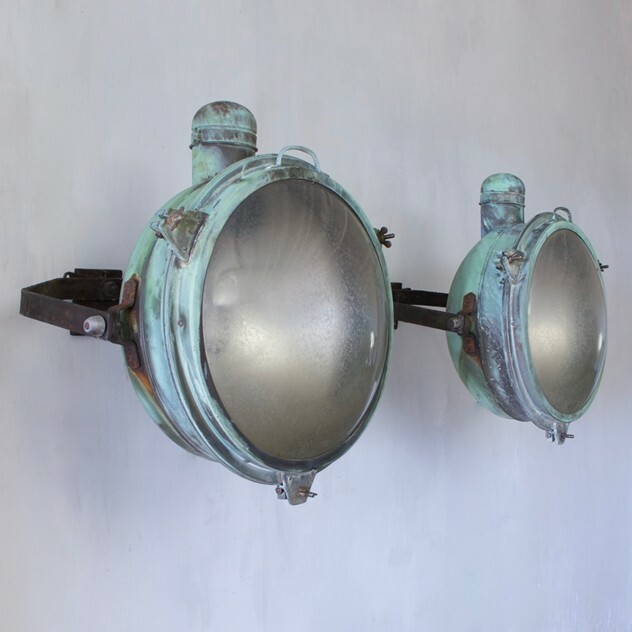 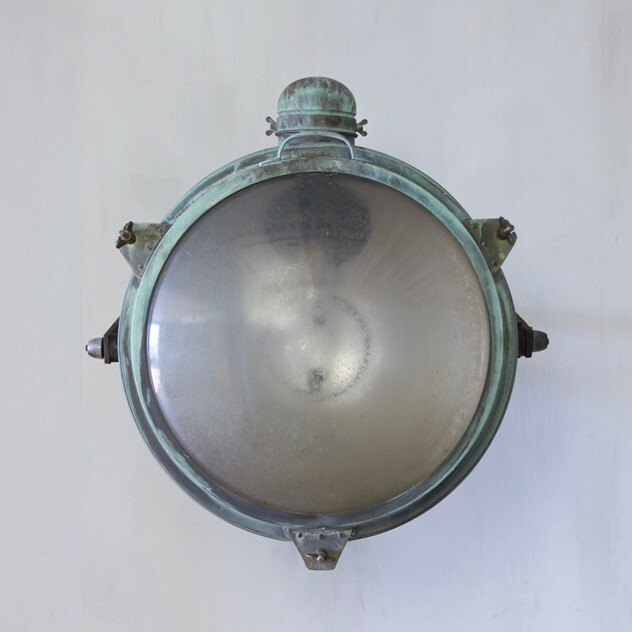 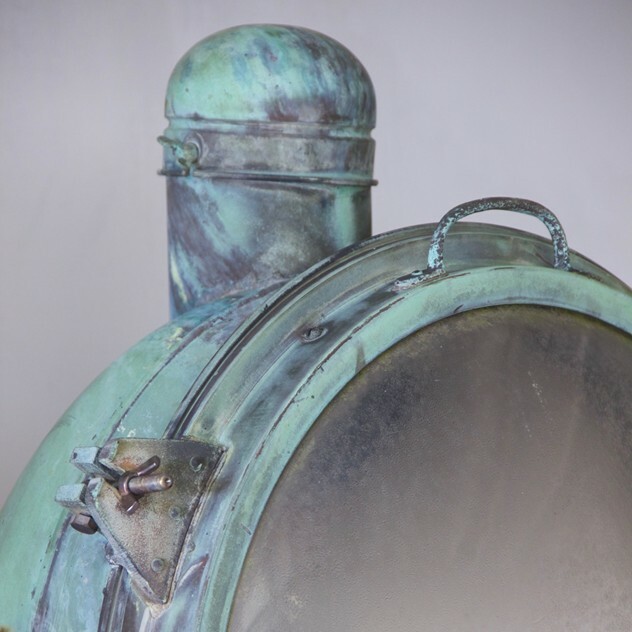 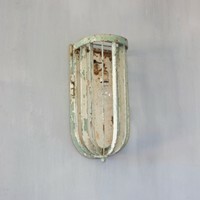 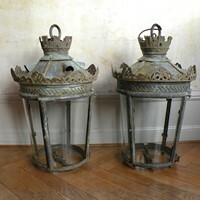 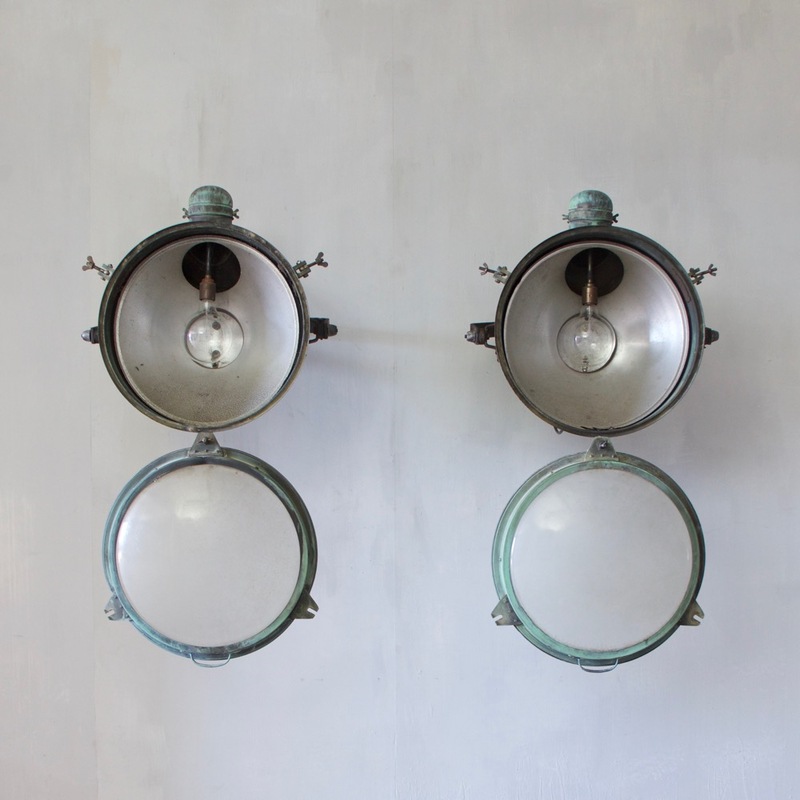 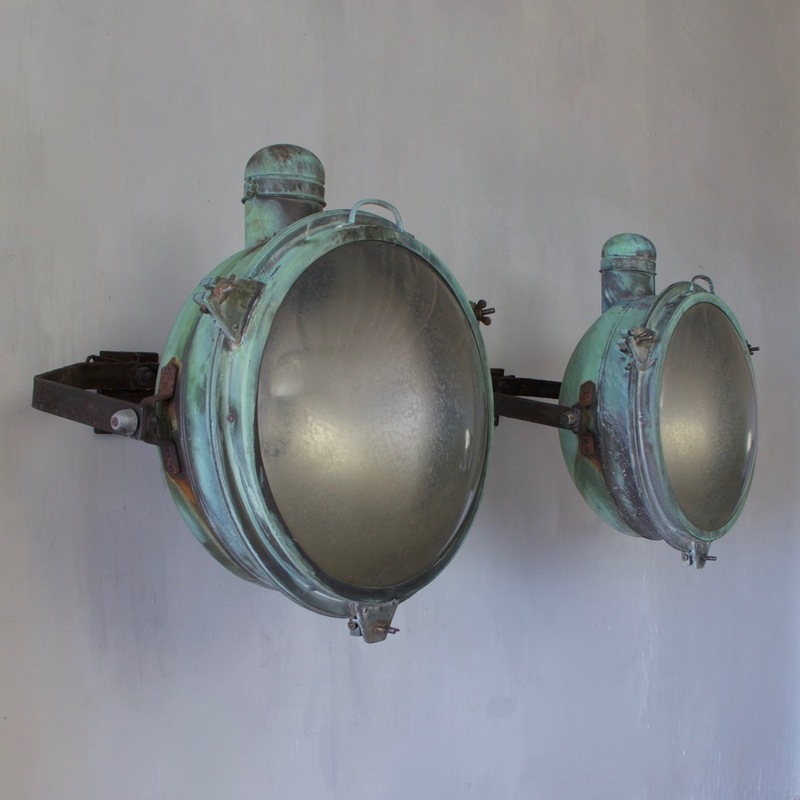 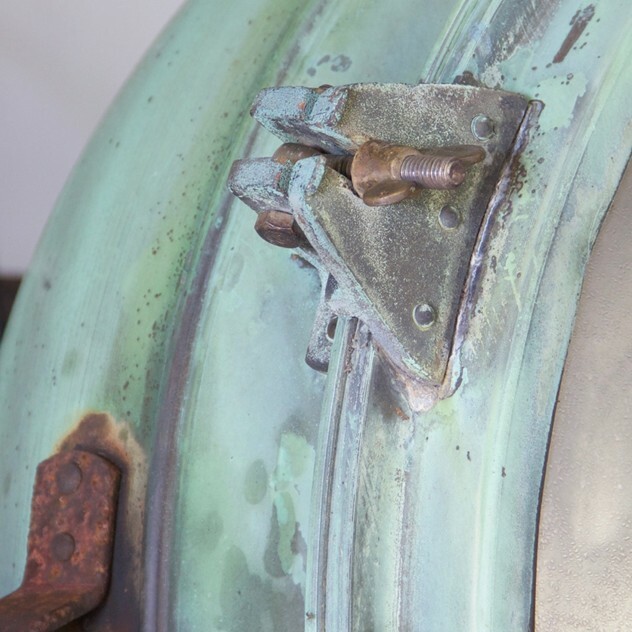 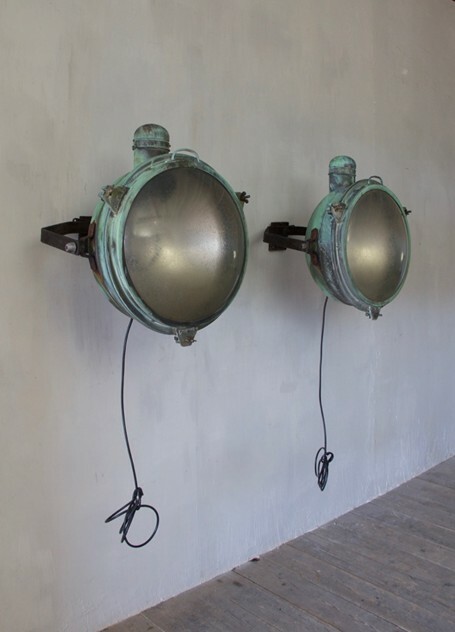 A very large pair of copper searchlights with iron mounting brackets and original verdigris patination. 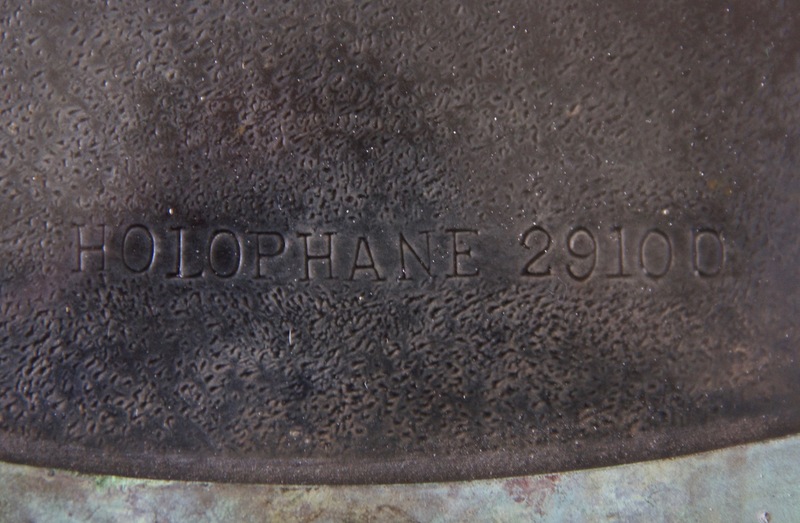 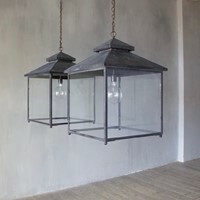 The original glass shades stamped Holophane. England c.1920. Rewired with external flex.